hollywood’s cliche image is of course the red carpet and the velvet rope. however there is another more intimate side to hollywood which is the writers and actors who make hollywood what it is. 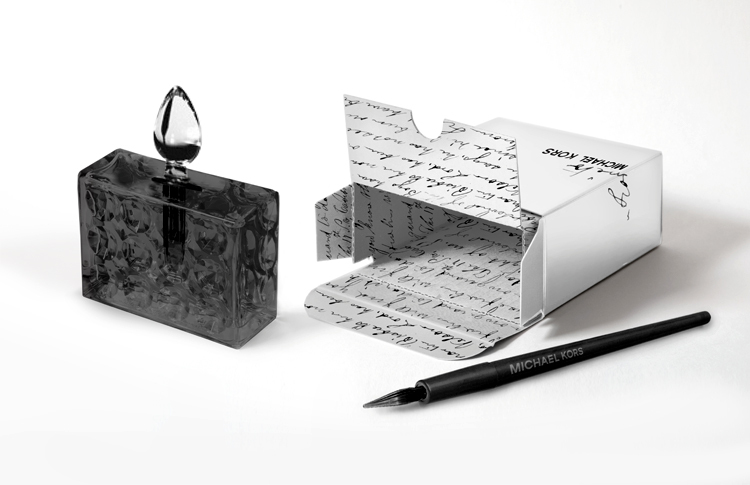 “very hollywood: story” packaging sported a glass bottle embedded in a die-cut script format. ceft and company teamed up with estee lauder for the expansion of michael kors very hollywood into northern europe. the task was to decipher the nuances of what hollywood means to europe versus what it means to the united states, and create a compelling visual story around hollywood that is more exclusive and aspirational. 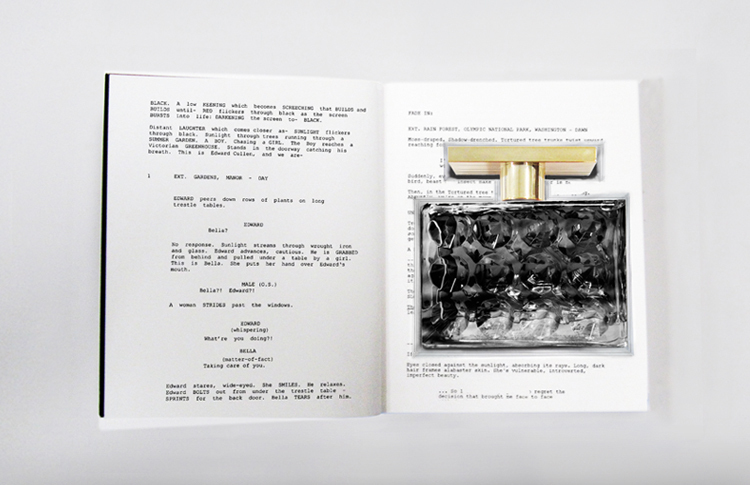 the project entailed a brand study, consumer insight, and positioning development. furthermore, it included launch ideas that translated into visual communication and physical packaging. unfortunately, we are not at liberty to share the entire work at this time.